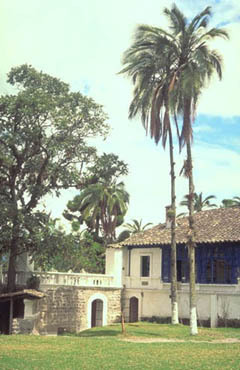 Subcanopy palm. Stem short and subterranean, rarely aerial, then short and covered with persistent leaf bases. Leaves erect, 5-7 m long; pinnae numerous, arranged in groups and pointing in all directions, the central ones 50-100 cm long and 1-4 cm wide, with very prominent, wavy cross veins. Inflorescence erect, 70-80 cm long; branches 25-30, to 20 cm long. Male flowers pale yellow with club shaped, 10-15 mm long petals, and 6 stamens. Female flowers 1-4 per branch, to 15-20 mm long. Fruits one per branch, orange, with a cinnamon, scale-like indument, acute, 7-8 cm long, with 2-3 seeds. 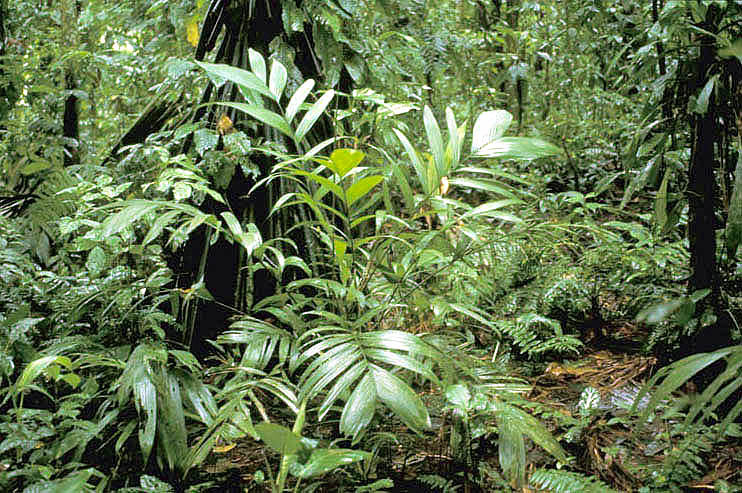 W part of the Amazon basin in Colombia, Ecuador, Peru, and Brazil. 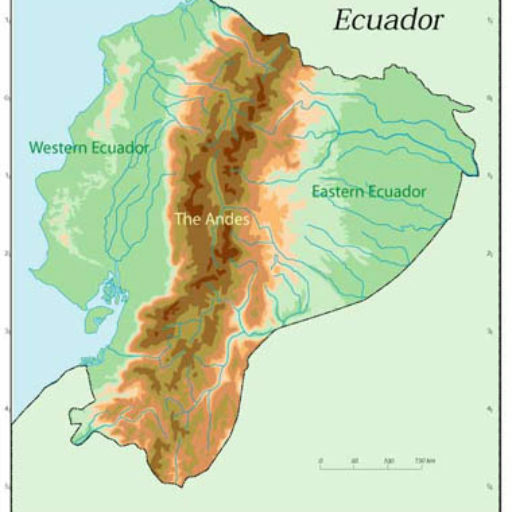 In Ecuador it is infrequent on poorly drained soil and in periodically flooded areas E of the Andes. It is rarely observed outside the forest, although it has been reported to be weedy in other parts of its distributional range (Henderson, 1995).